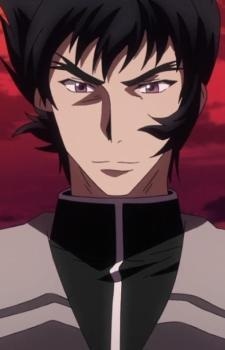 Born as the eldest son of the Bael Clan, Sairaorg did not inherit the Bael's trademark Power of Destruction that Rias and Sirzech's inherited from their mother, who came from the Bael Clan. Because of this, his younger half-brother was appointed to be the next heir of the Bael Clan. His mother told him to become strong in different ways. Sairaorg trained his body to its limits to become powerful and due to this, he defeated his younger half-brother, which made him the next heir of the Bael Clan. After his defeat, the younger half-brother now plans on assassinating Sairaorg. Sairaorg desires to become Satan to prove himself even with his lack of special demonic powers. Sometime before the series, Sairaorg found Regulus, the Lion King, sealed in the Longinus, Regulus Nemea, after its possessor died and it materialized itself. Sairaorg then tamed Regulus and made it his servant through 7 Pawn Evil Pieces. In Volume 10, Sairaorg faces Rias in their Rating Game, during which he eliminated Yuuto Kiba, Xenovia, and Rossweisse in the games, facing Issei in the final round. While initially refusing to use the Balance Breaker of his Longinus, Regulus Nemea, he eventually used it after persuasion from Issei. In his Balance Breaker form, Sairaorg's strength and speed increased greatly to the point where he easily shattered Issei's Scale Mail in Rook mode. Despite this, he ultimately lost to Issei after the latter manages to achieved his Cardinal Crimson Promotion in their battle, fighting Sairaorg in a fist fight which Sairaorg lost after losing consciousness.